What is Sufism? When did it begin? These questions have as many answers as the many sufis, schools and practitioners that exist, proving the truth of an old saying that "There is no Sufism, only sufis." Is sufism, as the dictionary suggests, " a mystical expression within the religion of Islam,' or does sufi wisdom stretch back to Greek and Egyptian and Persian mysteries, influencing all the religions of Beni Israel (Judaism, Christian and Islam) and later incorporating Vedic and Buddhist thought? "Sufism has never, in any period of history, been a religion or a certain creed. It has always been considered as the essence of every religion and all religions. Thus when it was given to the world of Islam, it was presented by the great Sufis in Muslim terminology. Whenever the Sufi ideal was presented to a certain people, it was presented in such a way as to make it intelligible to those people. Sufism is neither a dogma nor a doctrine; it is neither a form nor a ceremony. This does not mean that a Sufi does not make use of a doctrine, a dogma, a ritual, or ceremony. A Sufi makes use of them at the same time remaining free from them. It is neither dogma, doctrine, ceremony, nor ritual that makes a Sufi a Sufi; it is wisdom alone which is the Sufi's property, and all other things are used for convenience, for benefit. But a Sufi is not against any creed, doctrine, dogma, ritual, or ceremony; not even against someone who has no belief in God or Spirit, for a Sufi has a great respect for humanity. 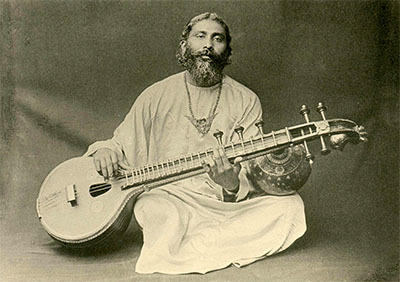 As a young man, Inayat Khan was one of the most famous musicians in India. 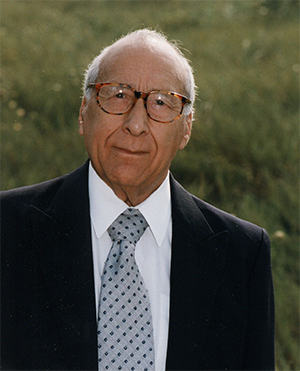 When he came to the West, it was on the instruction of his teacher, Sayyad Abu Hashim Madani, who said, "Fare forth into the world, my child and harmonize the East and West with the harmony of your music. Spread the wisdom of Sufism abroad, for to this end you are gifted by Allah, the most Merciful and Compassionate". "There is a well known Eastern legend giving the idea of a soul who had found truth. There was a wall of laughter and of smiles. This wall existed for ages and many tried to climb it, but few succeeded. Those who had climbed upon it saw something beyond, and so interested were they that they smiled, climbed over the wall and never returned. The people of the town began to wonder what magic could there be and what attraction, that whoever climbed the wall never returned. So they called it the wall of mystery. Then they said, 'We must make an enquiry and send someone who can reach the top, but we must tie them with a rope to hold them back.' When the person they had thus sent reached the top of the wall, they smiled and tried to jump over it, but the people pulled them back. Still they smiled, and when eagerly asked, 'what did you see there?' they did not answer, they only smiled. This is the condition of the seer. The one who in the shrine of their heart has seen the vision of God, the one who has the realization of truth, can only smile, for words can never really explain what truth means". This unpublished lecture by Inayat Khan on Sufism is from the Nekbakht Foundation Archives and originally appeared in "The Sufi" magazine in 1920. 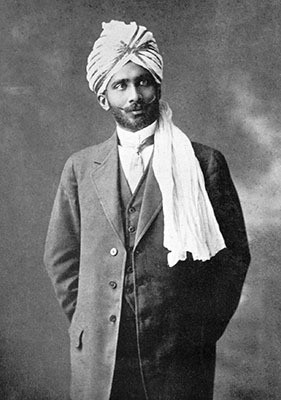 In this article, Hidayat Inayat-Khan, the youngest son of Inayat Khan, writes about Sufism. Sufism is neither a religion nor a cult nor a sect, nor is it only from the East nor from the West. Sufism, which means wisdom, has always been and shall always be an open door to Truth, with sympathy towards all beliefs, while at the same time avoiding speculation upon abstract concepts. Sufism believes in the Divine origin of every form of worship in which the unity of religious ideals is respected. When pronouncing the word ‘Sufism,’ the “ism” tends to suggest a limited understanding of wisdom, but wisdom can never be defined. For a Sufi, there are just as many expressions of wisdom as there are seekers after wisdom. Sufism is not a religion; it is an attitude, a path. It is the path of love for mankind. It is not a speculative adventure; there is no searching after phenomena. Sufism does not mean being any better than anybody else. Sufism means to be a human being, so that others might perhaps benefit from the experience. When offering as a brother or a sister to partake in easing the burden of misunderstandings between believers, the Sufi uses the language of spiritual liberty to communicate sympathy and dedication in support of the various understandings of the one Ideal of worship. The religion of our time is destined to be the religion of the heart, for the heart is the temple of God, wherein, when wisdom prevails, love, harmony and beauty together constitute the living altar. Upon the altar of the unity of religious ideals, the burning lights represent the great world religions, as well as all those who, whether known or unknown to the world, have held aloft the light of Truth through the darkness of human ignorance. A further aspect of the Universal Worship is the offering of passages from various holy scriptures placed side by side, with the object of discovering the similarity found in all, provided that the teachings are received at a spiritual level of understanding. During this sacred ceremony, the blessings of all the great Masters are profoundly felt when one’s heart is open to the pure essence of all religious inspirations, and when these are seen as so many rays of light coming from one and the same source, which is destined to shine for the welfare of all humanity. What is really experienced in worship? What is really understood by prayer, contemplation and meditation? Is it not, perhaps, the call of the heart? The spiritual path is a process of tuning the heart to an inner pitch, which is only heard when the doors of the heart are open, and the absence of the self miraculously reveals the silent tone within. This process can be traced in all religious teachings, and in this process lies the whole secret of happiness and inner peace. Is it not the temple of God? And if so, could we really venture to invite the Divine Presence into that temple if impurities such as the ‘I am’ concept are there, along with all our doubts and fears and wants?